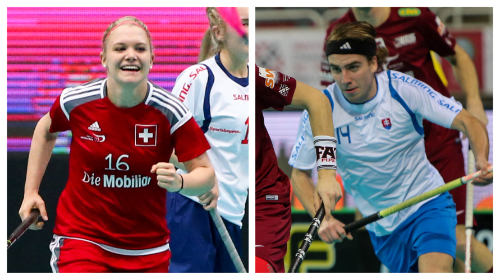 Top Transfers of the week are national players Celine Chalverat from Switzerland and Peter Nehila from Slovakia. Swiss national player Celine Chalverat has moved to Sweden and has started to play in the team Rasunda IS in Solna, Stockholm. Chalverat is transferring from Red Ants Rychenberg Winterthur where she has been also the captain of her team. The 28-year-old forward has been part of the swiss national team twice in the World Floorball Championships and three times represented her country in the World University Floorball Championships. Slovakian national player Peter Nehila has decided to return to his home country after a season in the Czech team Tatran Stresovice. The 23-year-old forward has transferred to the Slovakian team TJA Fbo Nizna and has been part of the Slovak national team in the Men´s World Floorball Championships, in the U19 and in the World University Floorball Championships.